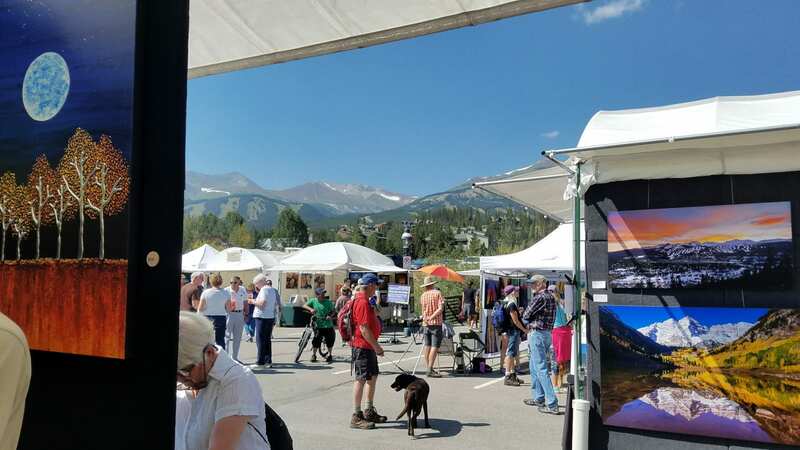 [September art festival on North Main Street in Breckenridge. Photo: mountainartfestivals.com] Breck has many outstanding festivals to choose from, and this event’s one of the longest standing. 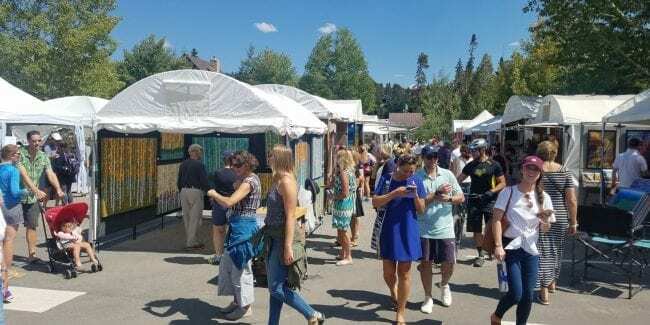 Now in its 44th season, the Breckenridge Gathering at the Great Divide Art Festival returns for another fun free event over Labor Day Weekend. This year’s fine art festival happens from Saturday to Monday, August 31st to September 2nd, 2019 on North Main Street at Wellington. Free admission is offered all weekend! 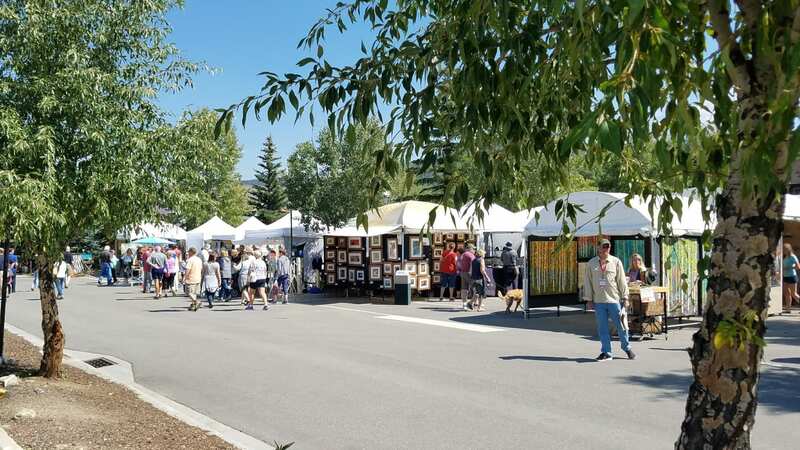 The Breckenridge Gathering at the Great Divide Art Festival invites more than 100 wonderful artists to show their original, first rate work. Each sets up a vendor booth, similar to visiting that many art galleries in a single day. In 2017 Sunshine Artist scored this Breck art fest #13 in their annual top 200 Fine Art and Design Shows. The event showcases 13 categories of fine art, including jewelry, wood, photography, painting, and sculpture, among others. It’s easy to reach the event in downtown Breckenridge at the base of the mountain resort. Just head towards the Gondola and you’ll see the festivities in the East Sawmill and Wellington parking lots.